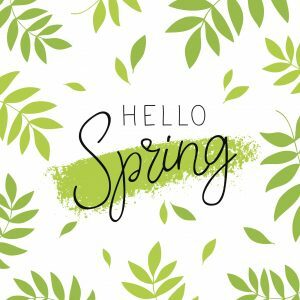 Interesting workshops and events at Moonflower Yoga in Long Island, New York's Nassau County; great yoga classes and yoga teachers | Moonflower Yoga Inc.
Spring has officially arrived! Spring is a wonderful time of year, and it is a reminder of new beginnings. It is a great time to take care of YOU and dust off the cobwebs of winter. Would you like to get in shape for the summer months and lighter clothing? A great yoga class can put you on the path to doing this! How about discovering something new? 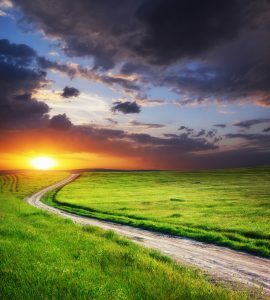 A Moonflower Yoga workshop, Reiki training session, or one of our fun “Clubs” (the Moonflower Yoga Book Club, the Moonflower Yoga Mah Jongg Club, or the Moonflower Yoga Needle Arts Group) can help you on this journey. 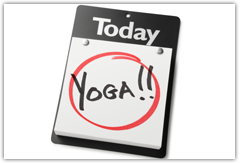 And, speaking about new, Moonflower Yoga is pleased to announce 3 NEW yoga classes on the April schedule! Melinda is teaching a wonderful Tuesday Stretch & Relax class at 6:15 PM each Tuesday. We have also added another chair yoga class to the schedule, this one being on Fridays with Rose Edelman in a lovely Chair Body Stretch at 11:15 AM. Dona Dovie’s unique Yin Yang Yoga is now on the schedule every Wednesday at 745 PM. Further info is below on these 3 new classes and the other great yoga classes on the schedule. Most of all, think of spring as a time to invest in yourself. If you are looking for beginner yoga classes to help you feel great, Moonflower Yoga has 24 weekly yoga classes from which you can choose, with at least one beginner-level yoga class every day of the week! Which yoga classes are best for YOU? If you are not sure which yoga classes might be good for beginners, or which yoga classes are intermediate level, here is a quick listing with additional information for each class on the “Descriptions” tab above. There are NO membership agreements, NO membership fees, NO recurring credit card charges at Moonflower Yoga. You can simply register for a single, great yoga class by double clicking on the class/date you would like to attend from the Schedule tab and following the simple registration and payment steps, and you are all set! Would you like to learn something new this spring while having some fun? Join us for an upcoming workshop, Reiki training session, or one of the fun Moonflower Yoga clubs. We have the Moonflower Yoga Book Club, the Moonflower Yoga Needle Arts Group where you learn to do basic crochet or knit, and the Moonflower Yoga Mah Jongg Club. These activities are a great way to make new friends while you discover a new activity. Click on the Workshop, Clubs, or Reiki tab above for additional information on these upcoming activities. Or you can scroll to the bottom of this page for a chronological listing of the available workshops, Club events, and Reiki training sessions. We look forward to having you join us! You love Rose’s other classes on the Moonflower Yoga schedule. Check out this wonderful, NEW class taught by Rose! If you have difficulty coming up/down from the floor in a regular yoga class, come give this great chair yoga class a try! This is a gentle, beginner-level yoga class where fundamental yoga poses will be done seated in a chair or with the support of a chair for those who can stand while holding a chair. Rose, who is also a yin yoga teacher, will emphasize poses for stretching your muscles. The class will also encompass poses for flexibility and strength building. For those who can stand, there will also be balance poses using a chair for support if needed. In all the poses, you will learn how to link your breath to movement. Rose will teach you some simple pranayama breathing techniques to help you relax. The class will end with several minutes of quiet solitude seated on your chair. This is a wonderful class to help you get stronger and more flexible in a gentle way while also giving you an opportunity to de-stress and relax. Please join Rose for this fabulous class! BOOK NOW! You can register for this great class by double clicking on the date you would like to attend from the Schedule tab. Follow the simple registration & payment steps and you’re all set! Please note that Moonflower Yoga also offers Chair Yoga classes on Tuesdays at 11 AM with Nancy, Thursdays at 11:30 AM with Lynn, plus 2 Wednesday classes with Lynn: Wall and Chair at 445 PM and Chair Body Stretch at 6 PM. Muscle tension? 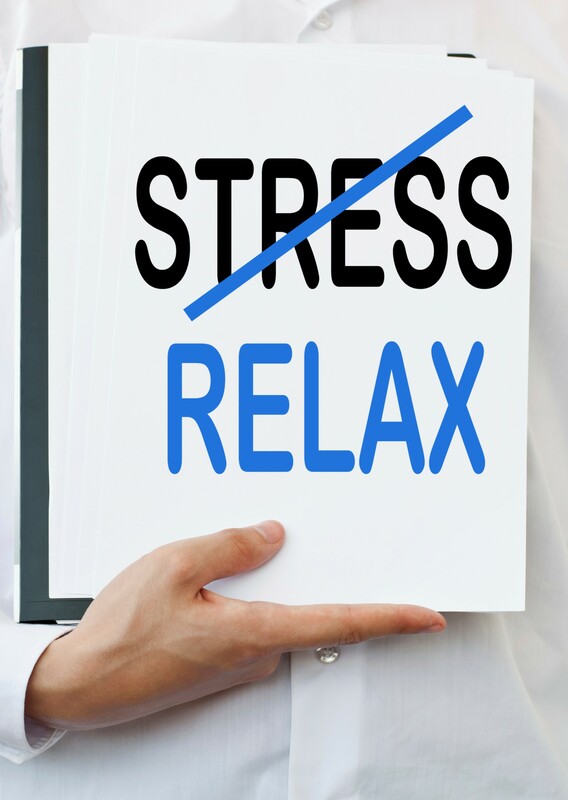 Feeling stressed? Come try this great NEW yoga class with Melinda. The class will encompass a combination of flowing standing and seated yoga poses to release muscle tension from the day, while also allowing you to build strength, increase flexibility and improve balance. After releasing your muscle tension, you will return back to the ground for additional stretching followed by several minutes of relaxing restorative yoga. In the restorative section, you can deeply unwind with the help of bolsters, blankets & pillows to support you. This wonderful class is a fabulous way to become stronger, release muscle tension from the day & get you ready for a relaxing evening ahead. Check it out! 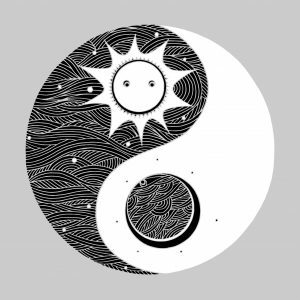 Come try this new Yin Yang Yoga class for balancing energy, strength and flexibility! Yin Yang yoga blends two styles of yoga in one class, bringing together the benefits of both moving yang poses and passive yin stretches. The class begins with a yang emphasis of building energy with simplicity and ease of movement in basic beginner-level hatha yoga poses. In the yin portion of class, the focus switches to stillness and long-held postures on the ground promoting flexibility and deep release to the body’s fascia muscle. The class ends with a traditional Shavasana (closing resting pose). As the whole body rests, enjoy feelings of relaxation that arise as you slow down and move from noise to silence, allowing the mind and nervous system to calm and reset. Combining both Yin and Yang elements in one class provides a healthy and balanced practice for mind, body and heart. Come give this great class a try! BOOK NOW! You can register for this class by double clicking on the date you would like to attend from the Schedule tab. Follow the simple registration & payment steps and you’re all set! Come explore Kundalini Yoga! 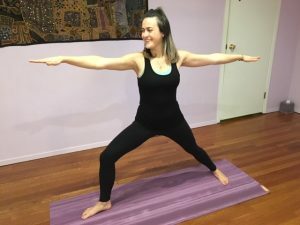 Kundalini yoga is a very unique style of yoga, and it is different from any other style of yoga that you may have taken. Each Kundalini class is different because the class outlined is based on the kriya (class plan) outlined by Yogi Bhajan for that specific class. Known for its ability to promote health, creativity & spiritual awareness, Kundalini Yoga combines physical exercise, breathing techniques, mantra (chanting) & meditation. This lovely practice caters to both beginners and advanced yogis. In the words of Yogi Bhajan “There is nothing outside of us. It’s all in us.” Come give Kundalini yoga a try! BOOK NOW! You can register for any available Kundalini yoga class or workshop by double clicking on the date you would like to attend from the Schedule tab. Follow the simple registration & payment steps and you’re all set! 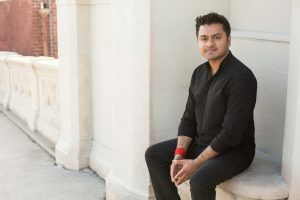 JUST ADDED – THE RETURN OF CHANDRESH TO MOONFLOWER YOGA – BOOK EARLY!!! Friday, May 3rd, 6:30 PM – 8 PM- almost sold out – book now! Come learn something new and have fun in a great workshop, event or training session! Reiki Level One training: Saturday, April 27th, 1:30 PM – 5:45 PM – WAS SOLD OUT -one spot now available or try June 2nd: Come learn the basics of Reiki and receive a Reiki Level One certification. You will learn the history of Reiki and how to do a Reiki treatment on yourself as well as others. You will discover the relaxing qualities of Reiki and be supplied with an informative book to continue your Reiki experience after you complete this Level One certification. This Reiki Level One training will be taught by Reiki Master Teacher and Moonflower Yoga owner, Nancy Weshkoff. 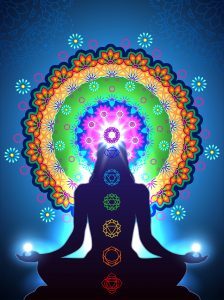 Reiki Healing Circle with Nancy: Friday, May 10th, 6:30 PM – 8:15 PM: Discover the relaxing qualities of Reiki! This healing circle is open to all and NO prior Reiki experience is needed. Learn why leading medical institutions offer Reiki as an alternative therapy. Each person attending receives a relaxing Reiki treatment. 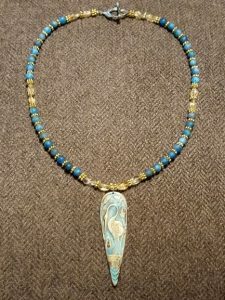 Make a Beautiful Mother’s Day Gemstone Necklace workshop with Carol Procopio: Saturday, May 4th, 1:30 PM – 3:30 PM -filling up quickly – book now! : Create a beautiful necklace for yourself or for someone special in your life from gemstones including meditative blue apatite and prosperity-fostering citrine with a blue patina brass focal piece depicting an elegant great heron, a symbol of peacefulness, self-awareness and confidence. All materials included in the price. Moonflower Yoga Mah Jongg Club: Sunday, May 5th, 2 PM – 3:30 PM: Come join our fun Moonflower Yoga Mah Jongg Club! Experienced players willing to work with newcomers, as well as newcomers are welcome. Great way to have fun & meet people. Click on the “Clubs” tab for additional info. Reiki Level Two training: Sunday, May 19th, 1:15 PM – 5:45 PM – SOLD OUT – wait list available or try June 29th: Further explore Reiki in this Reiki Level Two training, open to anyone who successfully completed Reiki Level One. Learn the first 3 symbols of Reiki including the distance symbol to send healing energy to someone who is not in the same room as you. This training session will be done by Nancy Weshkoff, Owner of Moonflower Yoga and Reiki Master Teacher. Book early as this sells out quickly! Reiki Level One training: Sunday, June 2nd, 1:30 PM – 6 PM – book early; space is limited and previous sessions sold out: Come learn the basics of Reiki and receive a Reiki Level One certification. You will learn the history of Reiki and how to do a Reiki treatment on yourself as well as others. You will discover the relaxing qualities of Reiki and be supplied with an informative book to continue your Reiki experience after you complete this Level One certification. This Reiki Level One training will be taught by Reiki Master Teacher and Moonflower Yoga owner, Nancy Weshkoff. Moonflower Yoga Mah Jongg Club: Saturday, June 8th, 2 PM – 3:30 PM: Come join our fun Moonflower Yoga Mah Jongg Club! Experienced players willing to work with newcomers, as well as newcomers are welcome. Great way to have fun & meet people. Click on the “Clubs” tab for additional info. Reiki Level Two training: Sunday, June 9th, 1:15 PM – 5:45 PM – SOLD OUT; waiting list available or try June 29th: Further explore Reiki in this Reiki Level Two training, open to anyone who successfully completed Reiki Level One. Learn the first 3 symbols of Reiki including the distance symbol to send healing energy to someone who is not in the same room as you. This training session will be done by Nancy Weshkoff, Owner of Moonflower Yoga and Reiki Master Teacher. Moonflower Yoga Needle Arts Group: New date TBA; stay tuned! : Come join us for this fun Club! Each member brings their own pieces (knitting, crochet, etc) and we have fun catching up with everyone while enjoying delicious food. Newcomers welcome. Reiki Level Three Master Practitioner training: Saturday, June 22nd, 1:15 PM – 5:45 PM: In this training session, you will become a Reiki Master! The training is open to anyone who successfully completed Levels One and Two. Learn the final 3 symbols of Reiki and receive 4 additional attunements. Reiki Level Two training: Saturday, June 29th, 1:15 PM – 5:45 PM – book early as this sells out quickly! : Further explore Reiki in this Reiki Level Two training, open to anyone who successfully completed Reiki Level One. Learn the first 3 symbols of Reiki including the distance symbol to send healing energy to someone who is not in the same room as you. This training session will be done by Nancy Weshkoff, Owner of Moonflower Yoga and Reiki Master Teacher. Candlelight Restorative class with Nancy (April 16th) (sold out; wait list available): Feeling stressed? Melt away your stress in this lovely, very relaxing Candlelight Restorative class which is done while resting on the floor. 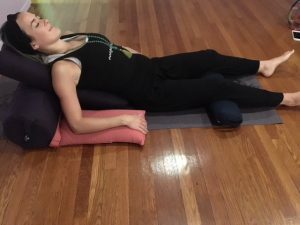 You will spend several minutes gently stretching and unwinding in each restorative posture with the help of props such as bolsters, blankets, and pillows. The class will be lit by candlelight with soft music in the background. Essential oils are diffused to help you further relax. Nancy, who is a Reiki Master Teacher, also provides a brief, optional Reiki treatment while you are reclining for those who chose to have a Reiki treatment. You will leave feeling refreshed and renewed! Through the generous support of so many in the Moonflower Yoga community, we collected approximately 300 lbs. of food and personal care items through 2018. THANK YOU! Sadly many people on Long Island cannot afford food or personal care items and your donations help them. Some of the things that are most in need are those items that are not covered by food stamps, particularly pet food, diapers, shampoo, soap, etc., as food stamps only cover food items. At the moment, what Long Island Cares mostly needs is DOG and CAT FOOD. Whatever items you can donate are much appreciated. These can be dropped off at the Moonflower Yoga studio, and we will take the items to Long Island Cares. Thank you! There is a NEW Chair Yoga Stretch class with Rose Edelman joining the schedule on Fridays at 11:15 AM starting April 5th. Come give this great, new class a try! The Gentle Yoga Stretch class at 745 PM will be leaving the schedule in April. It will be replaced with a weekly Yin Yang Yoga class with Dona Dovie on Wednesdays at 745 PM – see the fuller description above. Come give this new class a try! The Beginner Stretch class at 6 PM will be taught by Rose for the month of April. Rosanne returns to the teaching schedule in May. The 6:15 PM Flow and Let Go! class on Tuesdays will be leaving the schedule. 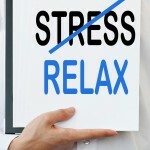 It is being replaced with a NEW Tuesday Stretch and and Relax class with Melinda – see the fuller description above. Come give this new class a try! The Moonflower Yoga studio is closed on Sunday, April 21, in observance of Easter Sunday. For those who celebrate the Easter holiday, we wish you a happy Easter. The 745 PM Evening Stretch and Relaxing Restorative Yoga class on Thursday, April 18, will be taught by Rose. The Moonflower Yoga Studio is closed on Monday, May 27th, in observance of Memorial Day. All of the above April class packages offer a discount over the per-class price. 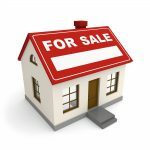 The discounted classes purchased under the April class package must be used between April 1st and April 30th, 2019. The class package must be purchased at the Moonflower Yoga studio. Please note there are NO classes on Easter Sunday. All of the above May class packages offer a discount over the per-class price. The discounted classes purchased under the May class package must be used between May 1st and May 31st, 2019. The class package must be purchased at the Moonflower Yoga studio. Please note there are NO classes on Memorial Day. We appreciate your business! Each month a special gift will be given to the customer who attends the most classes during the calendar month. The “Prize of the Month” for booking the most classes in the month of March was won by Debbie D. Congratulations Debbie! 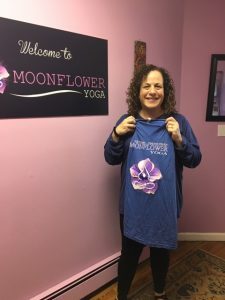 Debbie won a very comfy Moonflower Yoga t-shirt. The April contest is underway! Book your classes now and you are automatically entered in this month’s contest.